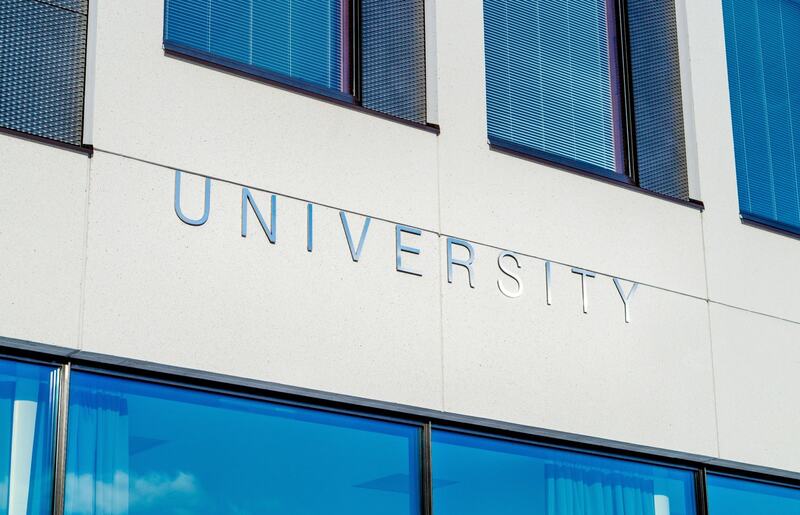 From Facebook to Twitter to Instagram, social media is a powerful platform for a university’s or college’s advertising. With access to millions of users every day, various social media platforms offer big exposure and higher enrollment for colleges of all sizes. But while posting on social media seems like a cinch, it isn’t always easy. Some posts appear to go viral immediately, while others wait for shares. Creating that perfect social media post isn’t as impossible as it seems, though. Successful posts all share a few common features. Remember: the goal of your social media campaign should be to build your virtual community of students, faculty, and alumni through positive and shareable content. 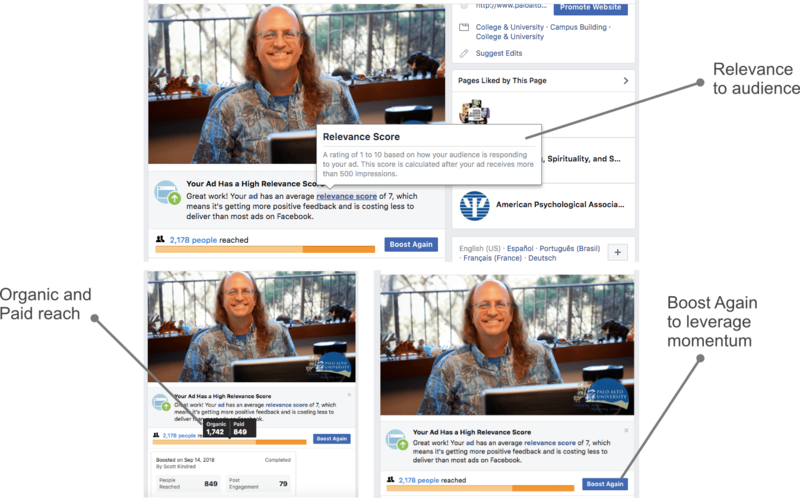 We’ll look at a successful social media post from Palo Alto University about their beloved librarian Scott Hines, from the content and photo to their results, and explore how you can emulate their tactics to publish more successfully. A successful social media post should start with a solid foundation: a topic that is of interest to as many of your readers as possible. In the case of Palo Alto University’s post, the topic was their long-time librarian. Everyone on campus uses the library at some point, so he interacts with people from every aspect of the university’s faculty and student body. Hines is one person who everyone on campus might have spoken to, or at least seen, and might have an emotional connection with. A familiar and positive subject such as popular staff members sets the stage for a lot of positive engagement on social media. Elements of a Social Media Post: Photos, Captions, Hashtags! Besides an engaging topic, social media posts should include a few basic features: a photo, a relevant caption, and hashtags. PAU included all three. Your subject doesn’t have to be a supermodel to be featured; the best featured photo captures your subject organically. The photo from PAU’s post captured their subject in his element. He was happy doing what he’s known for across campus—being a librarian. If your subject’s a famous researcher, snap a photo of her in her research lab. It’s important to frame your subject in their comfort zone doing what they are best known for. Consider the technical side of a photo as well. The photo should be well framed and high quality. Does it focus on your subject? Does the quality hold up when you enlarge the photo? Don’t be afraid to adjust the brightness and contrast settings in an editing program. Also consider the image size and proportions for your platform, whether you’re posting to Facebook, Instagram, or Twitter. Facebook and Twitter photos work well when rectangular, but Instagram photos often look best as squares, due to the app’s default cropping. Creating platform-specific variations of the same photo is worth the extra effort for better-looking posts. Captions and hashtags provide context and information. Include a caption with the photo. Talk about who your subject is—what he or she does and the journey to that place. Is your subject involved in campus outreach and student involvement? Does he or she support any special— and unexpected—causes? PAU’s post featured an informative and brief blurb about Hines’s unorthodox path toward library science. These sorts of tidbits can spark your readers’ interest. Frame the caption like a bite-sized bio or interview. And don’t forget to add a little humor and highlight your subject’s personality. There’s also more to a caption than just a biography. Hashtags can effectively tie your post to other posts about your campus, a theme, social commentary, or any other topic you can think of. Consider hashtags that are either universal, so your post is easier to find, or unique to your school—PAU included a single hashtag specific to their campus. You can also include links to your university’s official website or even Facebook or Twitter pages. Got a popular subject? Check! Have a great photo, informative caption, and appropriate hashtags? Check! You’re now ready for the next phase of a successful social media campaign: it’s time to post. Engagement from your intended audience is the proof of your post’s success. Consider a few details, such as where and when to publish your post and how to encourage organic engagement from your audience. Choosing the best publishing platform and time is crucial to success. Where you publish will affect the kind of exposure your post receives. PAU’s post was shared on Facebook, which allowed for a detailed caption and more conversation than Twitter or Instagram would have allowed. Choose your platform by the type of interaction you want on your post. It’s up to you to determine the best time to publish for your university. Consider when your audience (in this case, your student body) will be most active. Does your school focus on night classes? Consider afternoon publishing to catch people outside class. You’ll want people relaxing on their phones, not in class or in bed. Also, think long term; save “for-your-information” posts for fall, when freshmen are most curious about their new home. PAU published their post in the afternoon, when students were likely browsing social media, and early in the semester, when students would be exploring the library for their new classes. Social media success is a team effort. For actual engagement, you can encourage discussion in a variety of ways. You might ask for your audience’s favorite moment with your subject, give them a platform to say thanks, or even ask them questions. Your audience may also enjoy expecting posts on a certain topic with relevant themes that are posted weekly (or at least regularly). PAU’s post about Hines was part of a series on campus life, which is a helpful theme for new students. It also doesn’t hurt to invite a little attention from those higher in the school’s hierarchy, especially if your post is about a long-time staff member or an important cause. The PAU president took the time to comment on how great a librarian Hines is. An administrator throwing weight behind your post with an encouraging comment can add a lot of professional exposure to your school. Social media success is a team effort and, at its core, social. Everyone benefits from increased exposure. Additionally, everyone loves an interactive page, so it’s worthwhile to respond thoughtfully to select comments on your post. Let your alumni know that real people run the page and care about the community. Boosting will increase your exposure. After your post has been live and has generated discussion and sharing, consider sponsoring your post to boost its reach. Facebook, Twitter, and Instagram allow publishers to pay in a little money for a big payoff in exposure on your alumni’s feeds. Social media users are attracted to posts with comments and likes, though, so consider waiting for the post to germinate on its own before boosting to make the most of the money spent. PAU sponsored their post after a few days of likes and comments, and the exposure was lucrative; the ad was less expensive than other ads on Facebook because it was so successful to begin with. Our case study of PAU’s post checked all the boxes for social media success: Their subject was known and loved by everyone on campus. The post featured a great photo and caption. It generated discussion from the campus body, including the university president. And finally, PAU’s marketing team sponsored the post after it had already been successful, which increased its reach even more, so their money was maximized. Social media success doesn’t have to be as hard as it looks. Talking to social media marketing professionals such as SafeHouse Web will save you time and effort and increase your social media presence. Let’s build your college’s community together. SafeHouse Web is Silicon Valley digital marketing company that provides social media marketing, proven SEO solutions and WordPress-based website design. Contact us or call (831) 205-0077. Jordan is a freelance copywriter and business blogger adept at developing both B2B and B2C content. Jordan also works as an English tutor, teaching literary analysis to youth. She can frequently be found working on her own fiction or helping other writers develop their stories. Jordan holds a master's degree in geological sciences.